Another Hollywood couple is pulling the plug, and we just can’t with this one. 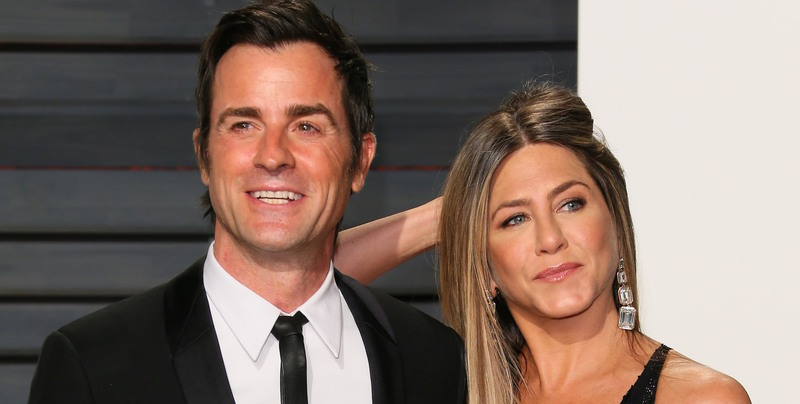 After two years of marriage and seven years together, Jennifer Aniston and Justin Theroux are officially splitting up. Aniston and Theroux are absolutely entitled to their privacy, but ugh, we have so many questions. How did this happen? Why? Is there any chance they might work things out? Naturally, some will say we should have seen this coming. There were plenty of tabloid reports claiming the two were spending time apart, with Theroux living in New York and Aniston remaining in their LA pad. Plus, Aniston celebrated her 49th birthday last Sunday with gal pals Courteney Cox, Andrea Bendewald, Leigh Kilton-Smith and Kristin Hahn — sans Theroux. Apparently, though, there is somewhere else they both want to be — and it’s not with each other. Well, we could seriously use a hug. But as we mourn this breakup, let’s all agree to hold off on the Brad Pitt and Jennifer Aniston reunion speculation for at least a few months, OK?